Indy Zimmerman has a new stalker who won't leave her alone, no matter what she says to him. Never mind the fact that he's one of the most popular guys at school - she's positive Bryant Bailey is only trying to appease his own conscience after pretty much destroying her life. But when Bryant doesn't back down and insists on having some sort of bizarre friendship with her, his magic works, and her walls slowly start to crumble. He's not her type. She's never been into guys like Bryant, but then again, she's never really known anyone quite as stubborn, or caring, or who can get her to confess stuff she wouldn't even tell her best friend. 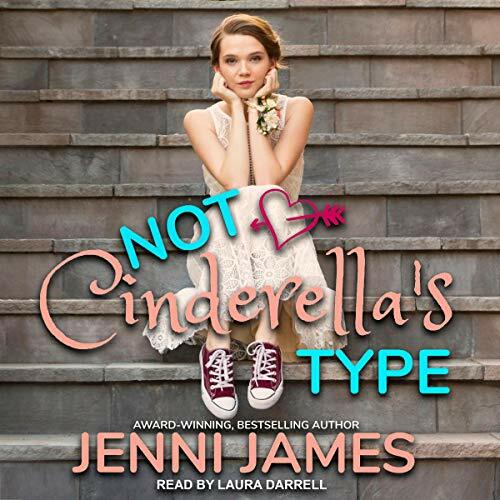 Another wonderful amazing heart throbbing audible book by Jenni James Queen of Fairy tales. One of my favorite authors, and I wish more of her books like the Frog Prince, Peter Pan series were on audible as well!